Social media success is not about bashing out as much content as you can and waiting for the results to roll in. It might have worked at the dawn of social media when the competition was low, but I promise you, it’s not going to work today. A successful social media strategy demands you to sharpen your ears and be willing to use social listening. Social media is called social for a reason. It’s not a one-way conversation. 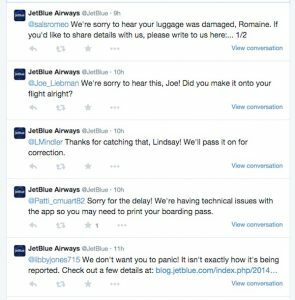 If social listening is not part of your strategy, you are doomed to fail. Or if you are lucky- just slow you down. While social listening is crucial to a successful social media strategy, there are marketers who ignore it, don’t know what it is, or is doing it wrong. Therefore, in this article, I’ll tell you everything you need to know about social listening, why it’s important for your brand, and how to successfully implement it into your social media strategy. Many people don’t know what it is. And it makes me drop a tear, because social listening plays an important role in your customer relationships, and how you take care of your audience. If you don’t know what social listening is, don’t worry, though! It’s never too late to learn. My initial plan with the answer to this question was to write what social listening is, but I’ve come to the realization that it’s even more important to tell you what it is not because there are lots of confusion around social listening. Of course, I’ll answer the initial question as well:). Social listening is not the same thing as social media monitoring. It’s understandable that these two get mixed up because they’re similar in some ways, but there are a few key differences that separate the two. Second of all, social listening is not just looking at your comments or mentions. It’s so much more than that. Social listening is about extracting key information from what people say about you and to you on social media. and then taking that information and taking action based on the things you’ve learned. Things are being said about your brand outside of the comments and mentions of your brand, so not paying attention to them would be missing out on valuable, key information that will allow you to get a deeper insight into your audience’s thoughts and opinions about you. Highly valuable information and insights, but without a mention of the brand. There’s a key difference between social media monitoring and social listening, and that is that monitoring only gathers information and listens to what people are saying, and includes a simple reply, letting them know you’re trying to solve their issue. But social listening is so much more than that. It takes the information into consideration and gets analyzed and reflected on. Instead of trying to solve the problems when they appear, it goes to the bottom of the reasons why the problems appear in the first place. This will present you with a bigger picture and a greater understanding of your brand and how your audience perceives it. Social listening is the process of monitoring social media channels for mentions of your brand, competitors, product, and then analyzing and reflecting on that information – and then taking appropriate action, that will solve the root of the matter rather than just paint the ugly spot. The purpose of using social listening is to get a better understanding of what people think about you, what they think is good, and what they think is bad. But if you just listen to what people have to say, but then don’t do anything about the problems and pain points they’re facing with your brand, what’s the point of social listening? There are many benefits and reasons you should use social listening, but summarized, without social listening, you’re basically operating your business in the dark. If you aren’t listening to what your audience has to say – the people who are most close to your business, potentially even using your product or service every day, you’re missing out on tons of valuable information and insights from them. This means feedback and tips on things that you can do better. And from inside the company, identifying flaws with yourself and your own business can be difficult, and that’s why your customers are so valuable because they tell you their opinion and thoughts – but if you don’t listen to it, it just shows that you don’t care about them. Your business probably has a social media strategy by now, but if it doesn’t, now is the time to create one. And make sure that social listening is part of it. Learning what people say about you us vital to any brand for determining the success of your social media strategy, but if you never take the time to listen to the problems people have, you’ll believe that your strategy is flawlessly fine-tuned to perfection – which never is the case. Listening will also allow you to understand which social platforms are most effective for you, and it will tell you what platforms people are talking most about you. As a result, social listening will save you both time and money, because every time you make a mistake as a brand, it is costing you money – and a ton of time to make things right. As a brand, you always want to measure results with your marketing efforts – and social media is no different. Social listening allows you to evaluate the current state of your social media presence, but it will also allow you to measure the results of your short-term tactics and efforts, and measure both quantitative and qualitative metrics. The quantitative metric is as simple as looking at how many people are talking about your brand, and quality is looking at the sentiment of conversation, and more focusing on what people are saying rather than seeing that they are saying something. 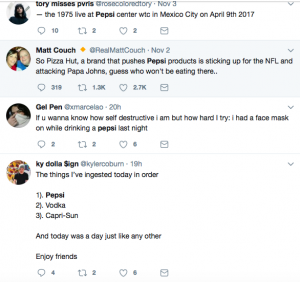 Conversations including the Keyword “Pepsi” on Twitter. Keeping track of conversations around your brand will allow you to understand what people are saying and thinking about you. Because, a disgruntled and angry customer is a brand mention, but just because it increases your number of mentions around your brand doesn’t mean that it is positive. – It can be though – if you are able to respond to them and solve their issue, but this is also the reason why qualitative and quantitative are important – because using only one won’t tell the full picture. How well do you think you know your audience? If the answer was yes, do you think you know your customers, or is a guess? In fact, according to a new study by IBM, nearly 80% of consumers stated that brands really don’t know them. Knowing your audience is vital for knowing what content to share, what personality and tone you should use that resonate best with them, how you should interact with them and much more. If you don’t know them, you’ll have a hard time connecting with them, and this creates difficulties in getting them to trust you, and considering the fact that trust is the single most important thing to driving a sale, you might be deep out in the water. 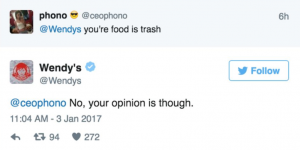 Wendy’s is the most famous example of a brand that has found their brand personality on social media. They combine sassiness with an edgy personality that can be seen as controversial – but their target audience loves it. Think about it: if your audience doesn’t trust your brand, will they buy from you? Probably not. Luckily, social listening will help you turn this around and provide key information about your audience, letting you get a better understanding of who they are, and get to know them more thoroughly – leading to a long-lasting relationship and real trust establishment. People are talking about your brand, but if you aren’t there to meet them – whether an angry mention or a positive one, you won’t have an opportunity to build your relationships with them, get to know them better, and ultimately increase their trust in you. Your competition may or may not be using social listening, but if they’re serious, they are. But the truth is that only a few are doing it correctly, and this leaves an opportunity for you to shine. Normally, most brands only come to social monitoring, and responding to their customers who are complaining and trying to find a solution, but by going one step further, and using social listening and taking appropriate action on a very foundational level, you can become the first in your industry to address the problems that everyone in your industry are facing – no matter if they are customers or competitors of yours. When monitoring what is being said by looking at relevant keywords and conversations, stories will unfold, and you will surely start seeing patterns of people who are having conversations where they are talking about issues they are having with products and brands in your industry – yourself included. Taking this information and changing the way your brand works or how your product is developed will show your audience (and your competitors’ audience) that you are listening to what people are saying, and also show that you are better than your competitors, thus leaving you in the spotlight. 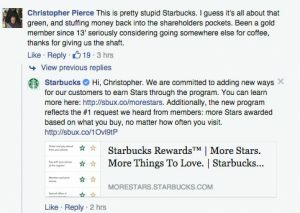 Brand reputation is extremely important in this day and age, and if you aren’t on your toes, things can go bad really quickly as information is exchanged in a heartbeat on social media. Today, you aren’t the one that is deciding your brand’s reputation. Instead, your customers are the ones who are determining conversation about you, and if you don’t take the time to listen to the conversations, you’re putting your brand at a great risk. By taking help of the power of social listening, you can identify potential threats and conversations where you can see an undertone of anger and complaints about your brand, and then ameliorate the situation before it escalates and harms your business on a bigger level.of your brand. Now it’s time to start executing, and before you do, you need to know what you should actually listen for. When using social media listening, a lot of focus will go towards keywords when looking for conversations about and around your brand. You also want to look at common misspellings of the keywords above. If you, for example, search for a misspelled hashtag of “CocaCola” in hashtags on Instagram, you will notice that there is a lot of them. And this means that Coca-Cola is missing out on valuable information if they aren’t actively looking for these types of keywords. Over 32 thousand posts! That’s a staggering amount and tons of information that can be extracted from them. If you’re just looking at the conversations about your brand and not taking action, you’re working with social media monitoring, not social listening as mentioned earlier. Social listening is so much more than gathering information and gaining an understanding of your audience and what they think of you. It is also so much more than taking the time to respond to the angry/disgruntled customers and the people who have faced an issue with your brand or products. That’s what your customer service do, and by working actively with social listening, you can minimize the messages that your customer service receives because you’ve already identified and put in solutions to the most common problems that your audience is facing. This is a principle that goes for everything in life, and it is based on the fact that it is better to solve the real problem so that it doesn’t happen again, rather than dealing with the issues it created. If your roof is leaking, what is best? To put a bucket where the water drops or to actually fix the leakage? With social listening, you cannot draw conclusions from one two or three observations. You need to allow time to show patterns in the things your audience is saying about you. Dealing with the issues that your real problems create isn’t a long-term strategy, and by using social listening, you identify the real problems and then take appropriate actions so that people aren’t facing them again. It is better to put in resources and solutions to the real problems rather than wasting efforts on making your angry customers happy again.